Our 2019 music programme has been finalised and here are details of the three concerts we are holding before the summer break. Enjoy and please continue to give us your feedback and ideas for future events. For further information about Music@theBarn or if you are interested in playing here, please contact Claire Falla at claire@tuppennybarn.co.uk or 07981 914232. 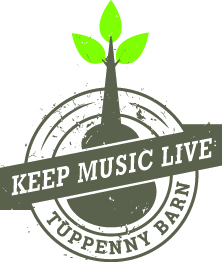 Refunds/Returns: All tickets purchased for Music@theBarn events at Tuppenny Barn are non-refundable and non-returnable unless the event is cancelled. For all Music events concerts start at 8pm, doors open 7.30pm.